The new week arrives, fisrt my Congrats to all participant of the first week that win a big and beatifull prizes. Thanks a lot!, and see you tomorrow with a new card. So sweet! Love your pattern papers and that flower. Great card. I love the way the swiss dot tag mimicks the pattern in the flower. Great job with the combo. Such a very happy card!!!! Lovely! I love tags! I love tags on cards! So cute! Todas las tarjetas te han quedado preciosas. 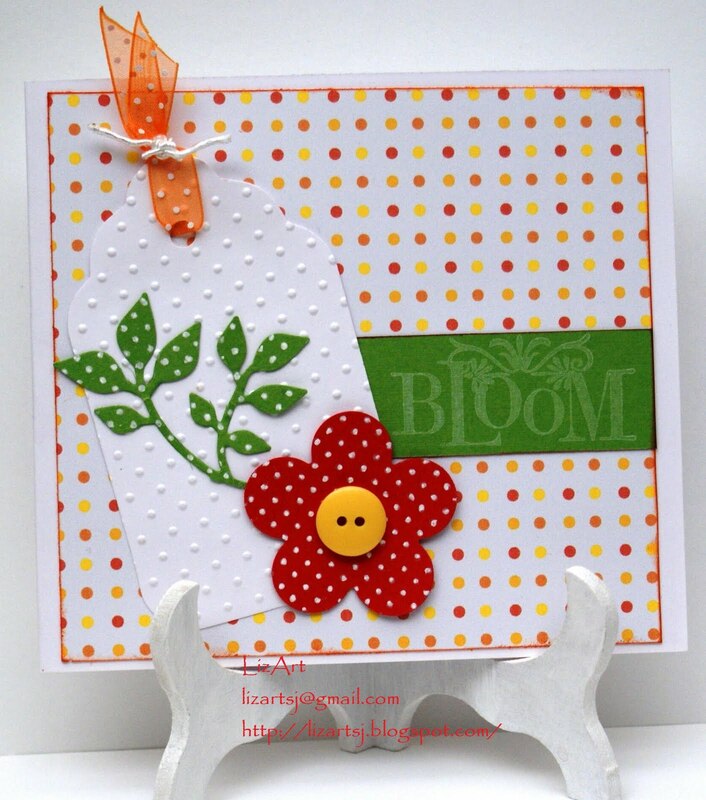 Great card, I love how everything is coordinated with dots.